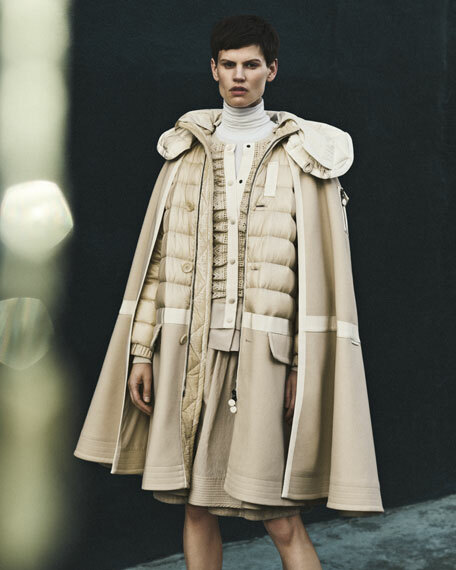 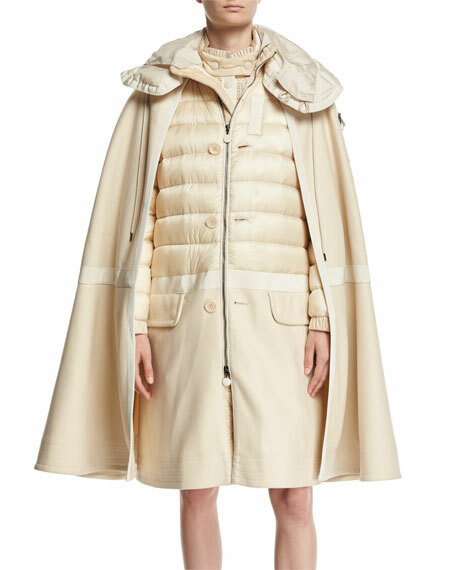 Moncler "Constance" quilted puffer jacket with cape. 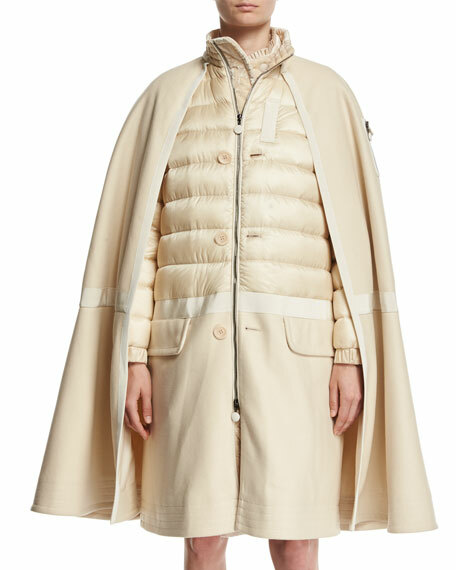 Two-way zip front; removable hood. 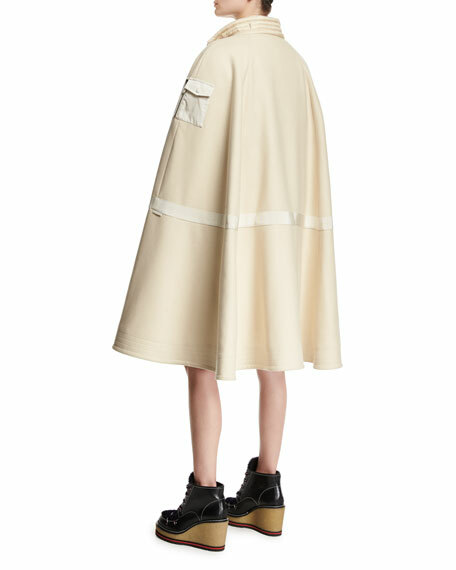 For in-store inquiries, use sku #2253553.